I love thought provoking quotes that make me read them over and over again until I have my “aha” moment and I smile! 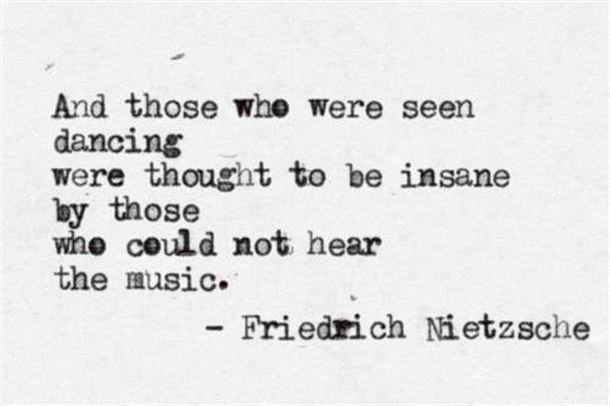 Let me share my favorite music quotes with you. This one means a lot. Sometimes life is hard. We have to deal with things that aren’t fun. One light example would be going to the dentist. I have taught my kids to sing a song in their heads when they are getting their teeth worked on. 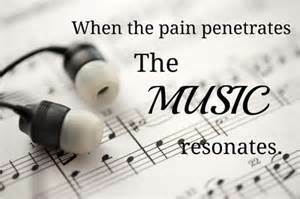 It is such a stress reliever! I don’t know about you, but I can be my own worst enemy because of my thoughts! What a relief it is when I put on my favorite Pandora station and allow the lyrics to take over. 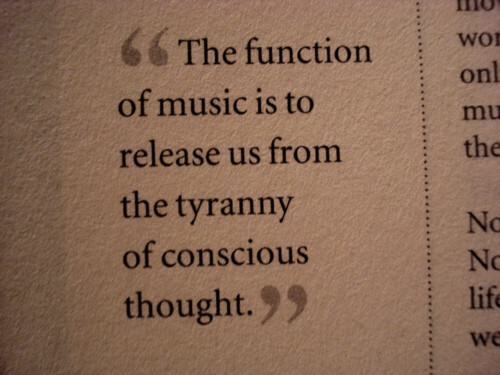 Yes, because music expresses what we fail to say. 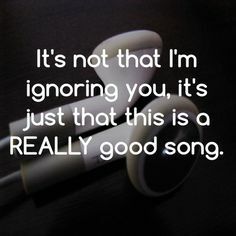 That’s probably why we dedicate songs to people. We want them to hear something that we haven’t been able to make them understand. 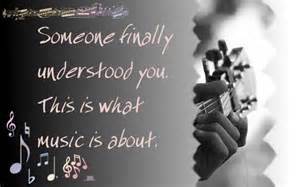 This entry was posted in My Journey and tagged music, Quotes by mastermusicianblog. Bookmark the permalink.